Rich Gaspari’s father encouraged him to do whatever it took to become the best that he could be. “If you work hard, you’ll succeed” was something the Italian immigrant always told the young, impressionable Gaspari growing up. The IFBB Hall of Fame Bodybuilder’s life so far has been massively successful by carrying out his father’s instructions–and I would not bet against it being filled with even more amazing achievements from this point forward. No matter what your life is like now or what your plans are in the future, this is definitely one inspiring podcast that you’ll want to hear. Gaspari has carried out a red-hot passion for bodybuilding since he was a 13-year old with “skinny kid genetics” and hasn’t slowed down one bit since then. After winning the Junior Nationals and placing in Top 5 at the Nationals just a few months prior to his 20th birthday, he went on to become Mr. Universe and eventually runner up at the Mr. Olympia several times. The extremely dedicated and focused leader took a scientific approach to his training, nutrition, and supplementation and built a career filled with “firsts”: The first bodybuilder with shredded, visibly striated glutes. The first bodybuilder to influence the design of today’s modern competition posing trunks. The first bodybuilder to document his training and eating habits in meticulous training logs the way he did. He was the first professional bodybuilder to win the prestigious Arnold Schwarzenegger Classic. As a young entrepreneurial celebrity bodybuilder, he was the first person who offered a special multi-packed series of training books and videos to his fans. Of course, he was the very first professional bodybuilder to turn his signature brand of supplements, Gaspari Nutrition, into a worldwide leader in the industry at such an elite level. During this podcast, Rich fondly recalls the crowd’s reaction the first time he stepped on stage with his trademarked striated glutes at the Night of Champions and some of the other great memories that he’s experienced during his illustrious bodybuilding career. 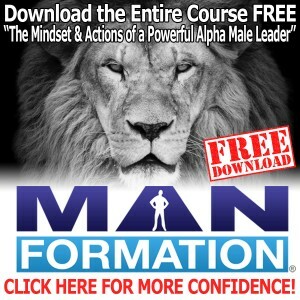 He openly shares the challenges he overcame while building Gaspari Nutrition into a powerhouse in the supplement industry when people told him he would never be successful as an ex-bodybuilder and how demanding, involved, and competitive the business is today. The inaugural Arnold Classic Champion loves the power of social media and how it can help promote your brand. You’ll learn why he demands that his Gaspari Nutrition sponsored athletes take full advantage of their following there. Gaspari still trains five days a week and stays in great shape. During this interview, he talks about the adjustments that he’s made in his approach to training and eating as he gets a little older and works around injuries. You’ll get so much value that you can apply to your own life when Rich openly reveals the biggest challenges and setbacks that he bounced back from during his life. He’s suffered a crippling injury, went bankrupt, lost everything he owned, and had to move back in with his parents at 30 years old. Gaspari’s future plans are just as interesting as his past accomplishments. 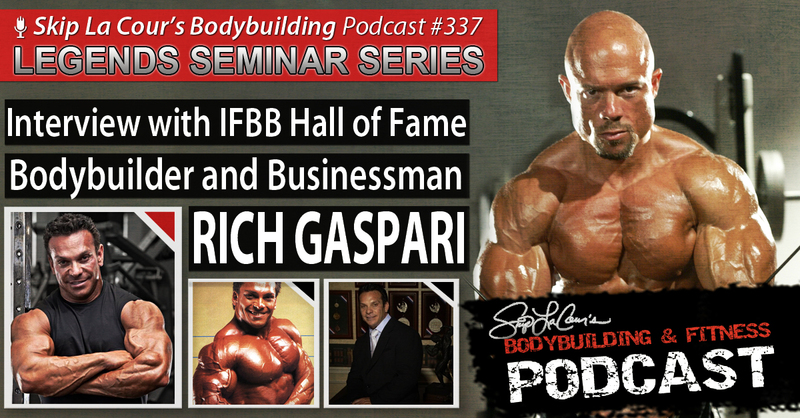 During this interview, he talks about what he sees as the future of the supplement industry and for Gaspari Nutrition. You’ll learn that his future plans also include politics and motivational speaking.